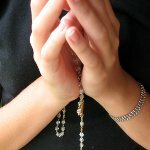 The first Thursday of May is National Day of Prayer in the USA. All Americans regardless of their confession are called to turn to God in prayer and meditation on this day. Every year since the inception of the holiday in 1952 the president of the USA signs a proclamation, that encourages Americans to pray on this day. However, there were notable exceptions of the rule, when Thomas Jefferson and Andrew Jackson didn't sign the proclamation. Although National Day of Prayer was recognized in 1952, it has got much longer history. The first days of prayers were proclaimed in some American cities and colonies in 1768-1776, but they fell on fall, summer and spring. General George Washington suggested a day of prayer to be held on Thursday, May 6, 1779, and ordered one day of cessation of recreation, thus soldiers could observe it. National Day of Prayer is celebrated by many Americans. They assemble together in prayer for the nation. Luncheons, picnics and music performances are also popular kinds of observance.